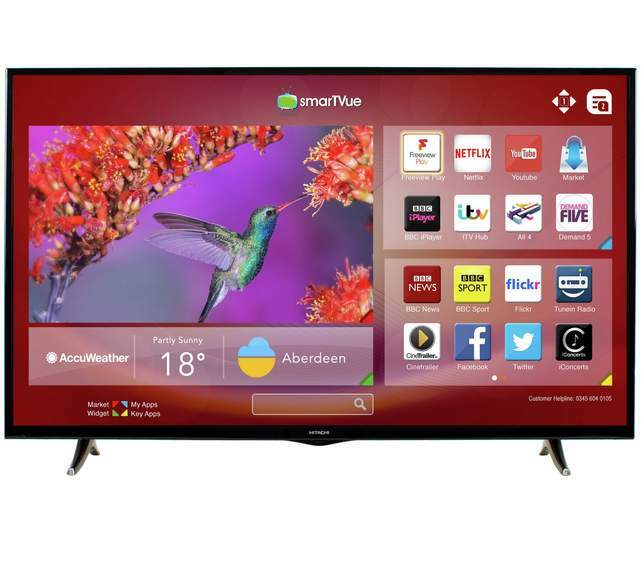 Nice tv for the price 4.7 / 5 over 567 reviews too! 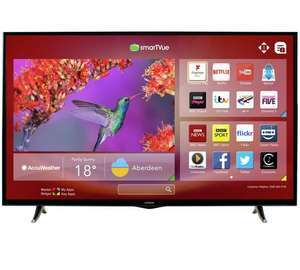 You can buy Asda 4k hdr TV for £315 . 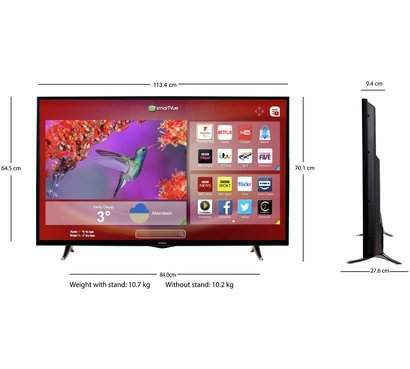 No need to buy this old junk for …You can buy Asda 4k hdr TV for £315 . No need to buy this old junk for £299. £299 in drain. Same comment from you on every non 4K tv... bit boring now - same as band 20 comments. You can buy Asda 4k hdr TV for £315 . No need to buy this old junk for £299. £299 in drain. Well, the LG one doesn't... and they make it so I've no idea. 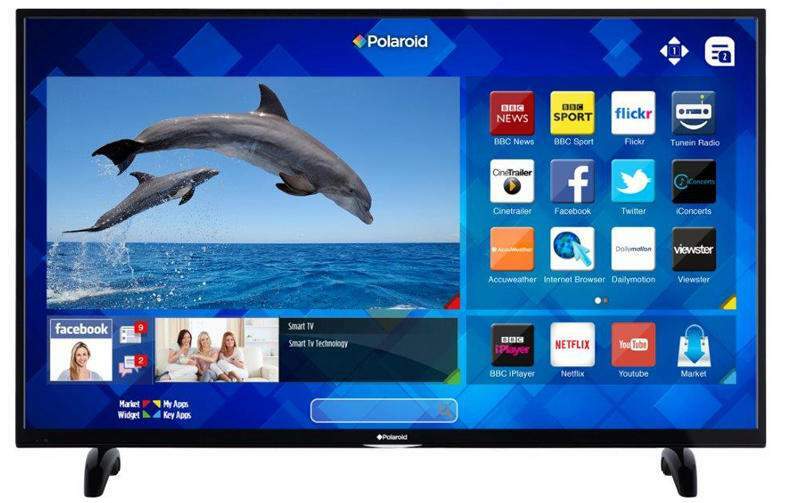 Both this "Hitachi" TV and the "junk Polaroid" from Asda are made by the same company - Vestel. You're not wrong about the Polaroid, but this is cheap Turkish tat too. Seems their strategy of buying the rights to a million different brands to confuse people into somehow buying a Vestel in the end is working great. The smart TV system is usually a giveaway though. Indeed, imagine comparing Polaroid with Hitachi! Or JVC, Toshiba, Finlux, Sharp, Blaupunkt, even Panasonic joined the Vestel party until they realised their brand matters to them. Many well known brands no longer exist, Hitachi stopped manufacturing TVs (for sale in the UK at least) around 10 years ago. Indeed, imagine comparing Polaroid with Hitachi! Or JVC, Toshiba, Finlux, …Indeed, imagine comparing Polaroid with Hitachi! Or JVC, Toshiba, Finlux, Sharp, Blaupunkt, even Panasonic joined the Vestel party until they realised their brand matters to them. Many well known brands no longer exist, Hitachi stopped manufacturing TVs (for sale in the UK at least) around 10 years ago. [quote]The Electrolux group own well over 50 brand names (though not all of them washing machines) Among the more well known ones are AEG, Tricity Bendix, Zanussi. The Candy group own Hoover, Zerowatt and Kelvinator among others. The Indesit Company own Ariston, Indesit, New World, Philco, Hotpoint, Creda, Cannon, GDA, English Electric,Thorn along with many more. Then there are the other European manufactures like Smeg and Beko who make many of their own appliances but also lend their factories and production runs to other brands. So whilst you think you are purchasing a Hygena dishwasher it may well have been made by Smeg or Beko.